Webroot SecureAnywhere Internet Security Complete is a reliable security solution that provides real-time and cloud-based protection against known and new threats for PCs, Macs, smartphones, and tablets - up to 5 devices. Webroot SecureAnywhere Complete is able to deal with any viruses, spyware, worms, trojans, rootkits, adware, and other online threats. Moreover, It's unique smart cloud technology scans fast and secures your online identity and financial information without interrupting or slowing down your online experience and normal activities. With its fast scans and threat removal, you can rest assured that malware is eliminated quickly and easily. Webroot Internet Security gives you the freedom to surf, share, shop, and bank online - all with the confidence that your PC and your identity will be kept safe. Webroot SecureAnywhere Internet Security Complete provides all the features of the Internet Security Plus edition, along with a system cleaner that removes traces of Internet activity and a feature for backing up and synchronizing your data. This edition is available with: Licenses for 5 devices, PC, Mac, or mobile and Subscriptions for 1, 2, or 3 years. Web Filtering is VM aware. 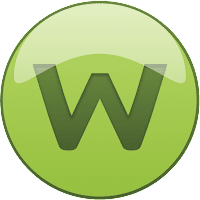 Disclaimer: Direct downloads for the lastest version of Webroot SecureAnywhere Internet Security Complete 9.0.17.28 are provided by the official software's author, we can't guarantee safety, availability or download speed. Moreover, we don't and we won't provide any pirated/illegal versions or tools. We recommend you to avoid it as these methods can harm your device. If you like the software, buy it to support the developers. (We provide software discounts for many worldwide brands).